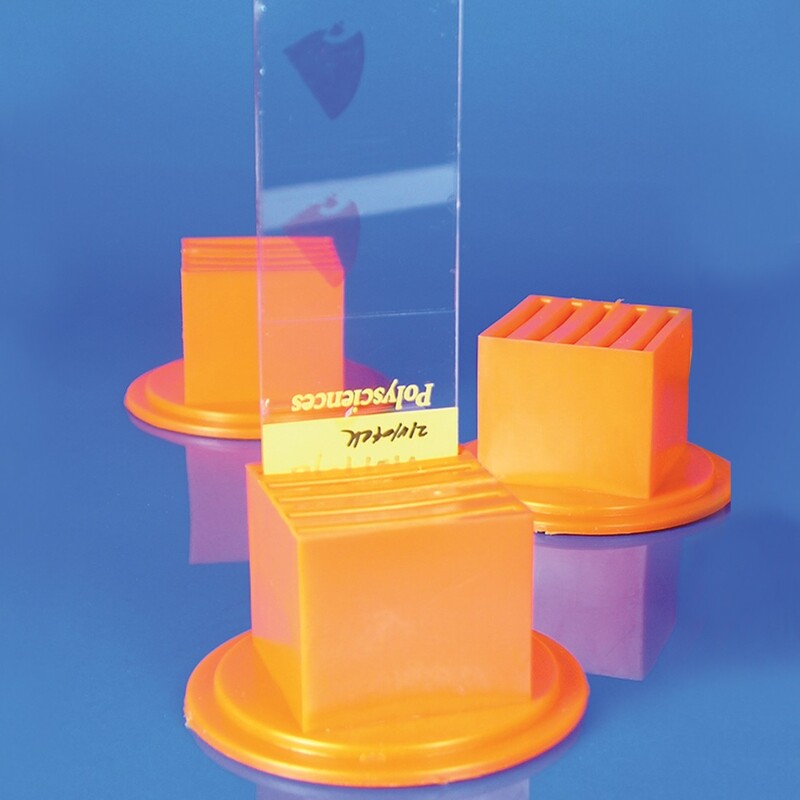 Microscope Slide Holder, Peel-A-Way | Polysciences, Inc. Slots in slide holder are designed to grip and hold specimen slide in place during staining process. Includes: 6 holders per case.